Stage 2 was a rough day for Casey, he was the 41st vehicle off the line and the 6th SxS, as the cars and SxS opened the stage to day in front of the bikes. This opened up a whole new challenge of the course not being burned in by the bikes. Navigation was a struggle from the start and would only get worse as the stage went on. Many moments searching to find the course and a missed waypoint cost Casey a bunch of time. The missed waypoint would add a +20 second penalty to the stages time. Casey would finish the stage in 16th and will now be 14th overall in the SxS class with a deficit of 43 minutes and 9 seconds. The next 8 stages will be challenging as he has to claw his way back towards the front. There is still a long ways to go and anything can happen. While Casey was out on the rally the rest of the crew was completing our transit stage down to the San Juan De Marcona bivouac. The road had many twist and turns and almost resulted in us heading to a low tunnel. Luckily, the organization provides not only the racers with road books but the transit teams as well. GPS works down here but it doesn’t always tell you the best route for a 50ft rig that is 13 feet tall. So the organization uses the same road book techniques the racers get to get the crews down to the bivouac. Ok, maybe the race road books are a little more technical and challenging than the service road books. Here’s one of our service road book. Cody Currie hosing down the M2. 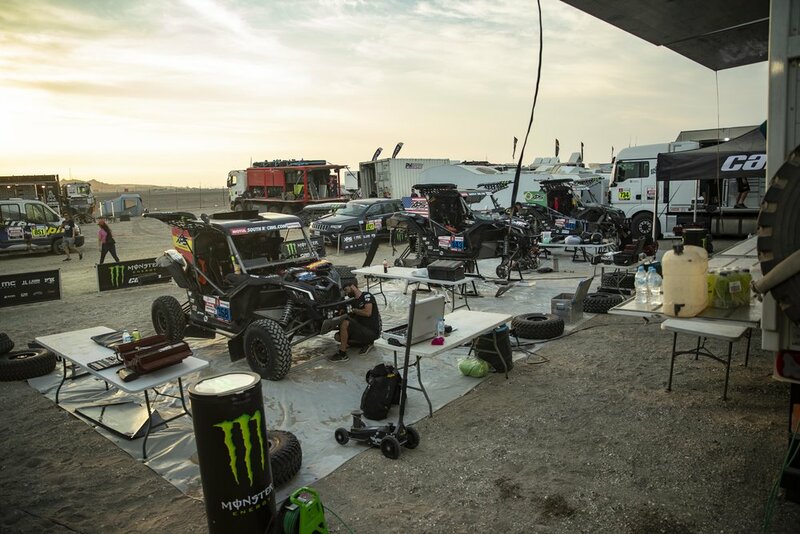 One of the rules for our team is to have a clean vehicle when entering the bivouac. So whilst working our way down we were challenged with finding a car wash to wash the dust off the M2. After a while of looking we found one conveniently at a gas station so we fueled up and handled getting the rig cleaned. 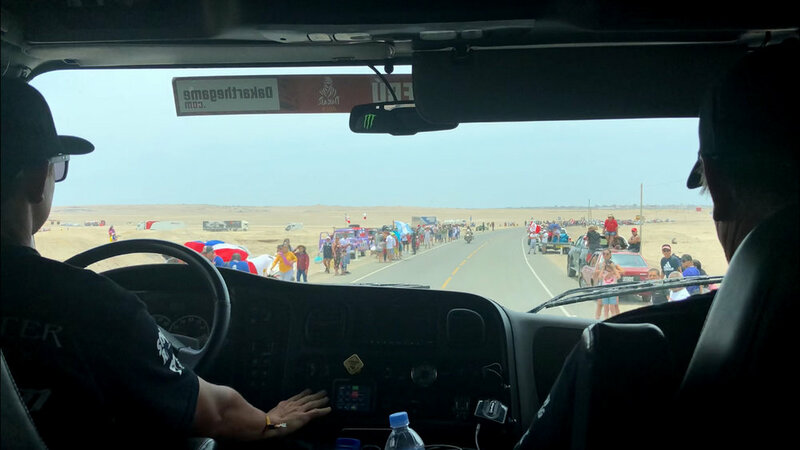 Arriving into the bivouac we were greeted by a large crowd of people lining both sides of the freeway. An early morning the next day meant a smaller bivouac setup. The less they put up, the less they have to tear down, the more rest they get. Tucker and Pedro Pedro meticulously going through checks to get the Can-Am ready for stage 3. The rally continues with stage 3 moving further south from San Juan De Marcona to Arequipa. This will be one of the longest stages at 798 km, which is comparable to running 19 Boston marathons. A short 6km liaison leads into a long 331 km special wrapping up with a lengthy 462 km liaison into Arequipa. 75% of the special will be sand while the other 25% will be a loose gravel surface. 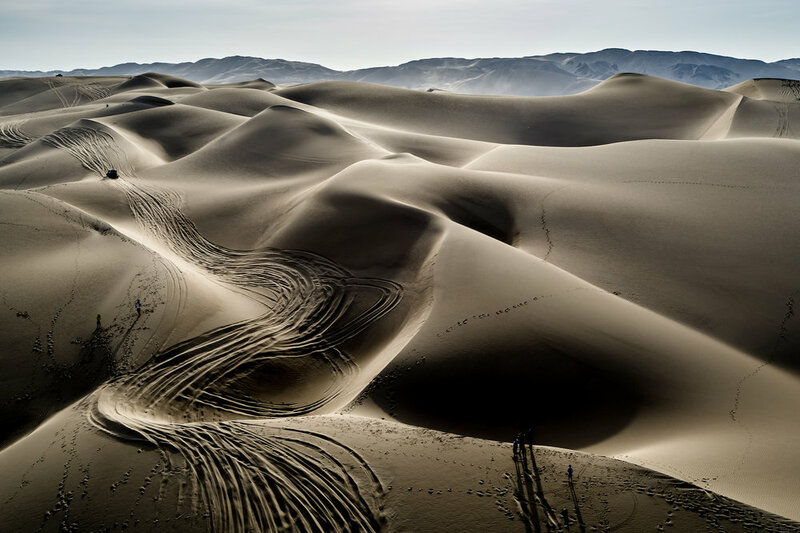 The stage will also include a new dune area for the Dakar rally: Acari.